We are excited to announce that nine pieces of the French porcelain tea service originally owned by Ruggles and Olive Morse have just been generously donated by a descendant of Ruggles’s nephew. Last fall, Robert H.L. Lipsky, Ph.D. gave Victoria Mansion a number of wonderful Morse objects, including thirteen pieces from the red service. He subsequently found these additional pieces and shipped them to the Mansion this past week. We are very grateful for this remarkable donation, which Dr. Lipsky makes in memory of his mother, Jean L. Lothrop Lipsky. 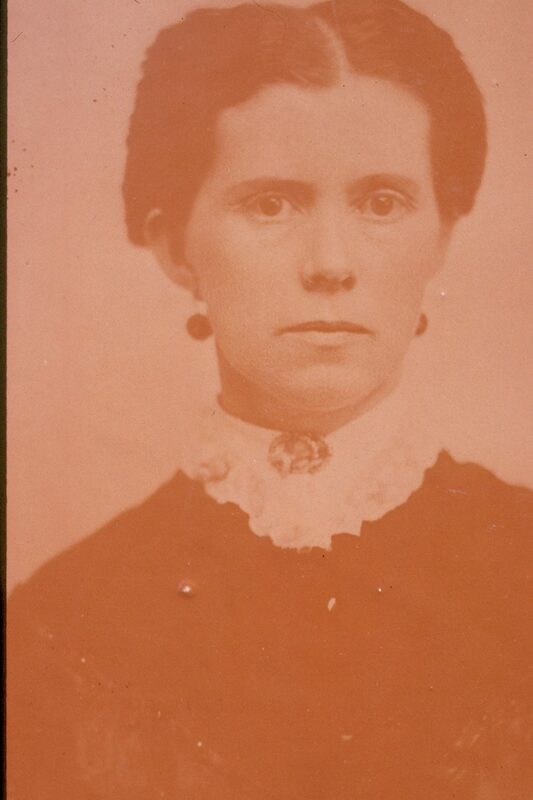 Dr. Lipsky’s great-grandfather, Elias Lane Lothrop, was the nephew of Ruggles Morse– the son of Ruggles’s sister Caroline and her husband, Davis Francis Lothrop. After Ruggles died, Olive Morse apparently took this tea service with her and distributed it among various nephews and nieces. All sixty-seven pieces the Mansion now owns were donated by members of the Lothrop family. The delicate painted rose decoration of the service matches that of the dinner service, but the border of the tea service is a rich maroon-red while the dinner service has an apple-green border. The set was originally for twenty-four, and comprises teacups and saucers, serving platters and plates, butter dishes, sauce dishes for jam, sauce, or honey, and seven-inch tea plates for such fare as scones, toast, and finger sandwiches. 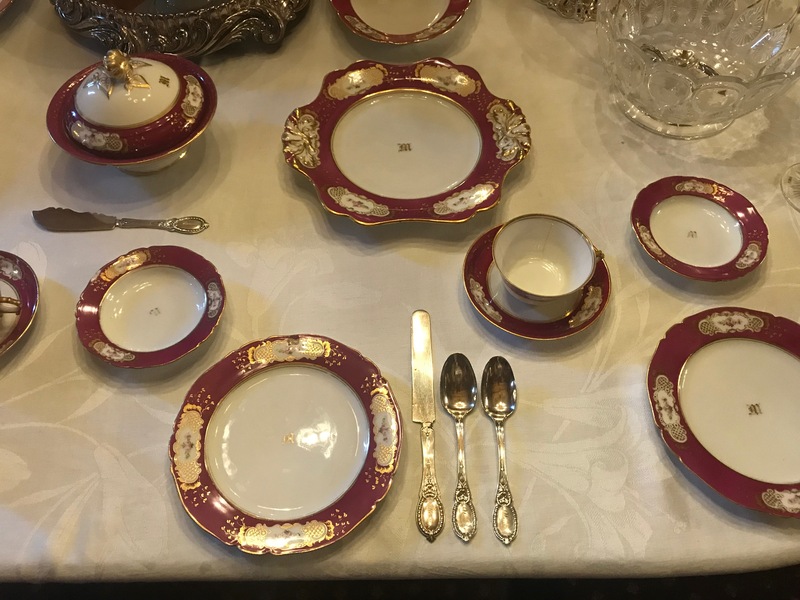 This summer, Curator Arlene Palmer Schwind has set the dining table with the red porcelain service, pairing it with the Libby family’s silver-plate tea service of 1871 that is displayed upon the Morses’ Sheffield silver plate tray.